Please register for each event separately, as the capacity of each event varies. The main event is on Tuesday 3/20/2018 beginning at 3:30pm. Note that some events take place the evening prior to the main event! An adult must stay with children participating in the workshop. 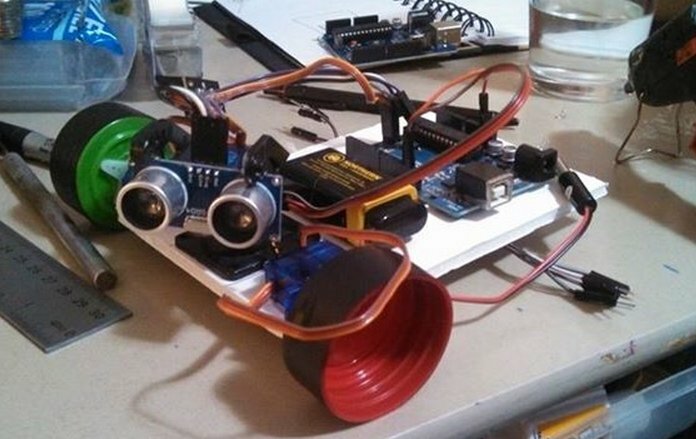 Have you ever programmed a robot? Or built a robot from scratch? This hands-on workshop took participants from the basics of moving a servo, to reading input from ultrasonic range sensors, and then constructing and programming a self navigating "Martian Laser Bot" that we affectionately refer to as the "trash bot” (because we make her out of scrap foam board, hot glue, milk jug caps, an arduino and a bit of code ;-). This was a great hands-on workshop for new and experienced makers alike, and was a TON of fun too! For more information visit: Virginia Tech stability wind tunnel. The Stability Wind Tunnel is operated by the Aerospace and Ocean Engineering Department. It was originally built at the NACA Langley Aeronautical Laboratory in 1940 and was the prototype of the tunnel seen in Hidden Figures! 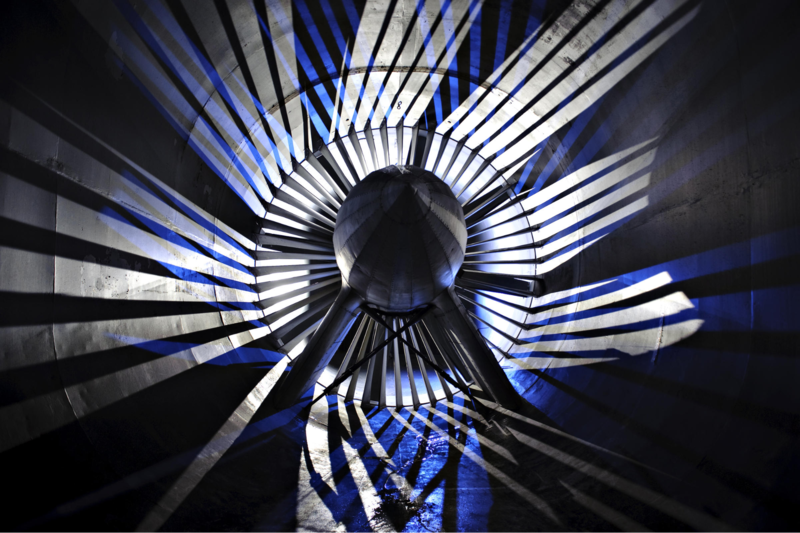 The wind tunnel was erected in 1959. With a 1.83m-by-1.83m test-section, it is one of the largest university operated wind tunnels in the United States with maximum speeds of 80m/s (178 mph). Hidden Figures uncovers the incredible story of three women who changed the space race. 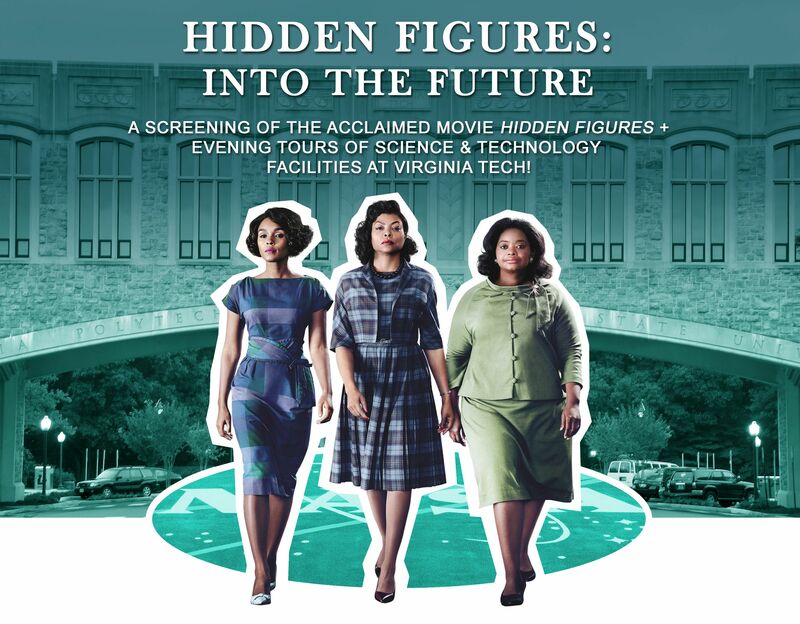 The film recounts the history of three black female mathematicians at NASA who helped win the space race against the Soviet Union while rocketing the quest for equal rights and opportunity forward. For more information visit: Virginia Tech’s Visionarium! and Assistive Technologies. The Visionarium and the Assistive Technologies Lab in Torgersen Hall are both part of the Division of Information Technology, dedicated to serving the technology needs of students, faculty, and staff. 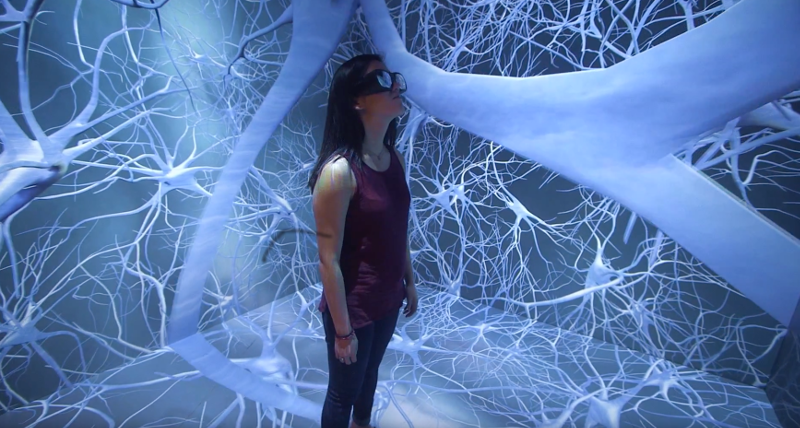 The Visionarium (Advanced Research Computing) focuses on boosting access to cutting-edge visual analysis tools that integrate with research, including 3-D simulations of data in a virtual environment. The Assistive Technologies lab creates and improves assistive technologies for people with disabilities, allowing them to increase, enhance, or maintain their functional and occupational capabilities. For more information visit: Terrestrial Robotics Engineering and Controls Lab and Goodwin Hall. Goodwin Hall houses instructional and research labs and classrooms as well as groundbreaking technology that measures even the smallest vibrations occurring inside the building. This data will allow researchers to study structural relations related to building design and security, occupancy monitoring for emergency response, structural health monitoring, and more. TREC (Terrestrial Robotics Engineering & Controls Lab, Department of Mechanical Engineering) was founded to study cutting edge mechanics and controls in order to create robotic platforms to change the way the world perceives robotics - they are developing robots that can respond in disaster response scenarios as well as in daily life. 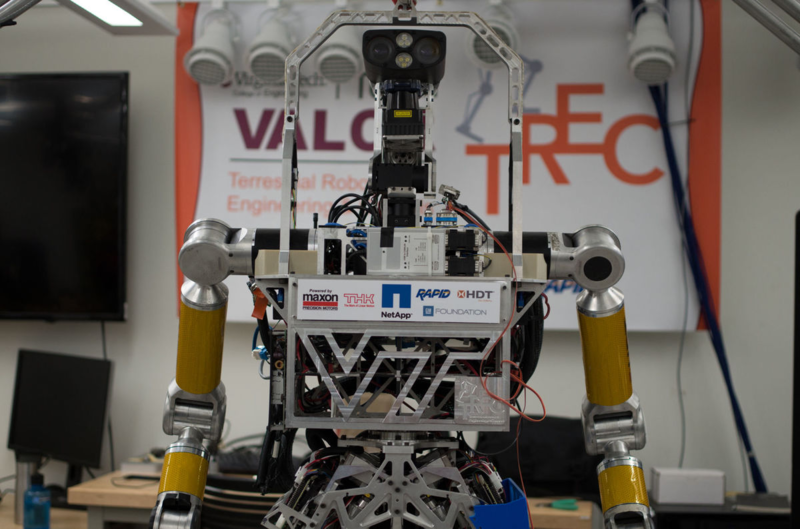 The TREC Lab is developing one of the world’s first fire-fighting humanoid robots through the Office of Naval Research’s Shipboard Autonomous Firefighting Robot (SAFFiR) program. TREC also competes in the DARPA Robotics Challenge. For more information visit: The Joseph F. Ware Jr. Advanced Engineering Laboratory. 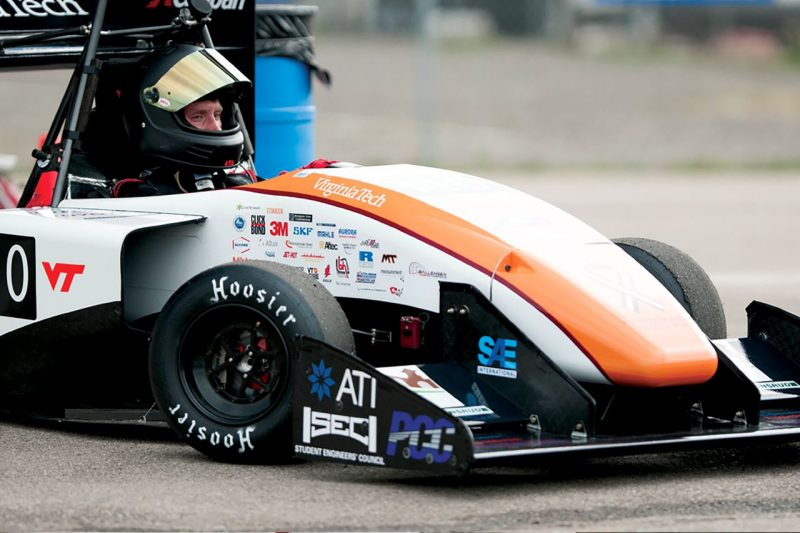 The Ware Lab houses undergraduate design projects in the College of Engineering, allowing students to sharpen theoretical and computational skills learned in the classroom by working on real-world engineering projects. A “hands-on, minds-on” approach has led to a tradition of success for Virginia Tech engineering - each year, more than 450 students and volunteers contribute to Ware Lab projects. The Ware Lab is also home to the Virginia Tech Hyperloop and Hybrid Electric Vehicle teams. For more information visit: The Museum of Geosciences. 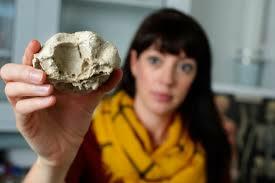 Michelle Stocker’s paleobiology research group studies fossils and compares them with living animals in order to understand evolutionary patterns and processes. In the fossil preparation laboratory, volunteers, undergraduates, graduate students, and faculty use mechanical and chemical preparation techniques to clean and examine the shapes of bones and make inferences about how animals, move, grow, eat, and are related to each other. For more information visit: Department of Chemistry. Every 90 minutes, the sun provides enough energy to power the earth for a year. However, we still need to find better ways to harness that energy. We need cheap and efficient solar harvesting materials and advances in energy storage technology. 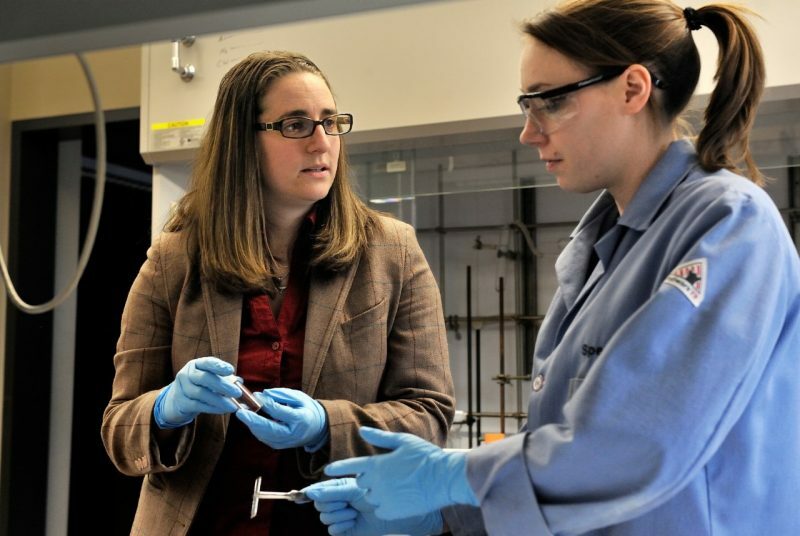 In Amanda Morris’ lab, projects focus on two aspects of solar energy conversion: artificial photosynthesis, and next generation solar cells.